Get caught up on what you might have missed in the week with The Friday Reload. We hand-curate the best posts, news and videos of the week. Expanding into 70 more countries, move marks burst of rapid growth. New pre-roll video and full-screen interstitial banner ads formats came out in August, and cross-device retargeting was announced this month. The iAd producer tool, introduced in September was launched to make rich-media ad creation easier for non-developers. Disney, Activision, Lancome, Banana Republic, and CW have signed up to pioneer the 15-second autoplay videos in sponsored posts, Ad Week reports. CEO Kevin Systrom has said that he reviews every ad before it runs to make sure they don’t seem too much like advertising. 11 brands, including Lexus, Universal Pictures and JCPenney, are testing the new ad product today before it’s opened to all advertisers in mid-November, according to Ad Age. The autoplay video also loops continuously and can be docked next to the dashboard so users can watch while continuing to scroll through other posts. Online video ads are a fast-growing piece of the online marketing industry. EMarketer estimates that U.S. advertisers will spend $5.96 billion for digital video ads in 2014, a 42% year-over-year increase. Yahoo is following Facebook into the autoplay era, which has helped Facebook challenge YouTube’s dominance as a video platform. A follow up on a guide that Vero initially published where they outline how they got excellent results. We’re an email marketing company but we’re trying to grow a business just like you. It seems logical to share our ideas, challenges, successes, and failures with you. If this blog were only about email, we’d be withholding a lot of knowledge about marketing, business development, and sales. This post is going to examine the strategy behind our latest email guide – Email Marketing Best Practices: 20 Tips for Dramatically Better Email – to show you how we wrote it and promoted it. No secrets here … we’ll share the numbers and, if you have questions, we’ll be happy to answer them. The idea for the guide that was ultimately created was inspired by Brian Dean of Backlinko. Rather than starting with aÂ contentÂ idea, Brian recommends starting with a keyword. We chose “email marketing best practices” because we believe the content currently ranking for this phrase is outdated and unhelpful. We knew we could create something way better. Brian refers to this as the Skyscraper Technique – see what ranks for the keywords you want and outdo them. Rather than churn out another hollow list post, we planned to spend extra time loading each email marketing tip with examples, screenshot, and actionable advice. The result was a 5,000-word post with 40 examples and anÂ accompanying swipe file. Here’s a quick overview of what they did. Made their content easy to tweet. Reached out to each example mentioned within the article. Tried to get featured in daily or weekly content roundups for link buidling. They focus on epic content once per month rather than publishing 2-3 posts per week. ConversionXL teaches us how to set up goals, segments, and events in Google Analytics. A must if you aren’t utilizing Google Analytics properly yet. While it might look like a post, it’s actually a guide. A chapter outline is provided below. If visitors and leaving your landing page in droves, you need a trusty sidekick to make your offer more persuasive. Image by Daniel Go via Flickr. If you aren’t familiar with exit overlays, they’re modal lightboxes that launch by what’s known as exit-intent technology. The technology tracks visitor activities as they navigate your site. When abandoning visitors are detected, an exit overlay is triggered to capture an otherwise lost conversion. Unbounce covers how to use exit overlays to escalate urgency, to counter objections and provide added value. Bryan Harris at Video Fruit brings another good one. He’s struggled with ideas for creating guest blog posts which he loves because the two guest posts he’s created generated over 1,000 new email subscribers to the site. Whether you are a guest-posting pro or have never written one in your life, use this to come up with killer ideas for your next article. So, if the person whose site you are writing for were hosting a conference and you were invited to speak to the audience, what would your speech be about? Asking this question removes writing from the equation and forces you to focus on the audience you are “speaking” to. Let’s workshop a quick example. Imagine you are a food blogger invited to speak at a marketing conference that Noah Kagan is putting on. Those are two seemingly unrelated industries. Food and marketing. Could you still teach the audience something that would be interesting and relevant? You bet! Headline 3: I work 80 hours a week. How about you? Processes are what separates the ‘little guy’ from the ‘big businesses’. 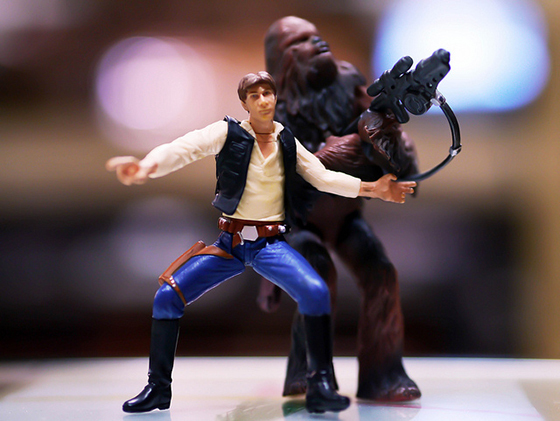 Referral Saasquatch covers a process for creating a structured and process-driven growth. I really like the simplicity of the image they put below. This is where you put the brainstormed experiments that your team wants to run. Think of it like your product development roadmap, but this time it’s for your growth team. The key here is to accurately understand the scope of running the experiments. IE what the steps are to implement and what resources are needed for each experiment. This is the lifeblood of the growth experiment process. You start with your idea and create the objective and hypothesis to help prioritize the experiment. Once you make the test a priority you begin to design the steps needed to implement the experiment. When the test is complete you then record the results, discuss your findings and plan the next steps. This is where you take your successful experiments and document the step-by-step process into a playbook that your team can revisit as a repeatable growth experiment. For example marketplace startups like Airbnb, Uber and UrbanSitter have built playbooks for their city-launches. They use a combination of guerrilla marketing tactics to seed the initial word of mouth of their city launch. Measure what they spend hosting events, meeting with influencers, putting up posters, etc.. In a recent talk from the 500 startups boot camp. Rebecca Rosenfelt went over how the teams tracked the ROI from their city launches that used targeted FB ads and compared them to their guerrilla campaigns. After seeing the higher ROI from the guerilla marketing campaign they created a playbook to help the team build a repeatable city launch strategy. 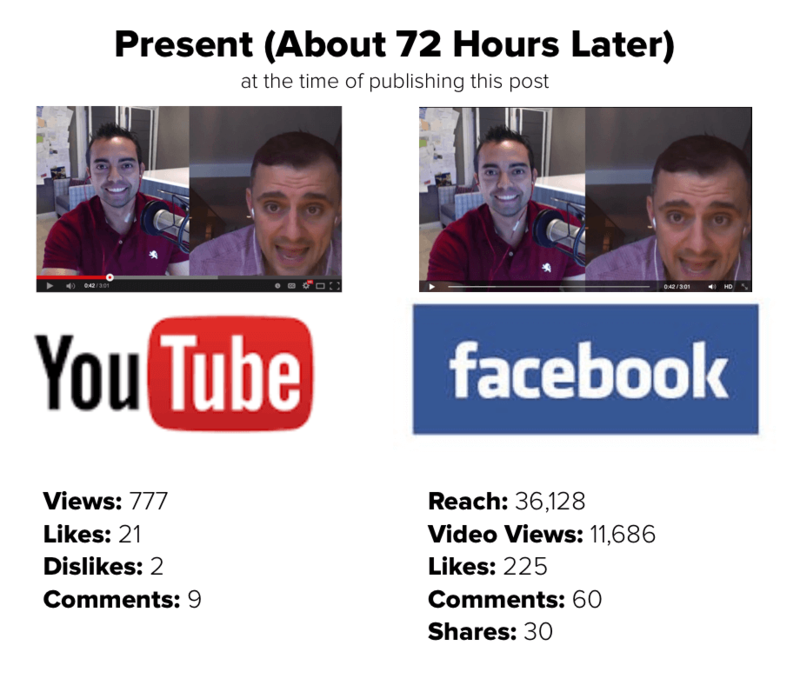 Pat Flynn did a test of posting to Facebook versus just YouTube. I decided to create a short 3-minute video teaser of the episode. It includes a couple of highlights from the interview with Gary, while also providing value to those who watch. My goal was to tease the episode enough to drive people through a link shown in the video to listen to the full episode here on my blog. To put this in perspective, that’s 189 views with 14,864 people reached (0.12%) with over 80,000 Facebook fans. Instead of publishing on YouTube and pasting the URL onto my Facebook Page, what should I have done instead? Upload the video directly to Facebook. I’m planning on eating my own medicine here and publishing a video directly to Facebook this week. Paul Shapiro shares a few tools that he ACTUALLY uses. Here’s the bulleted list below but I HIGHLY RECOMMEND you read his post on how he uses each of the tools. Though I prefer Evernote, my Chrome used to be LOADED with bookmarks. I have a feeling yours is the same. Snag this tool for better bookmarking, namely the bookmarking by topic. A picture says it all. If you’re heavy on the Facebook networking or group management I can see this being very helpful for you. Plus you can toggle what information you want to give out for example, email vs email plus phone etc. The 7 Minute Workout Tool! Based on the original article “The Scientific 7-Minute Workout”. I’d recommend doing the 7 minute workout daily. Then work up to 2 sets of it (or 14 minutes) and continue until you can either do 4 sets (28 minutes) and then start doing more advanced body weight moves. Here’s a great bodyweight resource called FitLoop.co. To anybody trying to get back in shape, I can’t recommend Nerd Fitness (http://www.nerdfitness.com/) enough. I used it to get back in shape 2 or 3 years ago, it’s very approachable even with no real fitness knowledge. I am not affiliated. – You don’t need a gym; you can get dumbbells for cheap, but even without it there is a lot you can do (I haven’t lifted anything in a year, doing mostly bodyweight). Get Your Book Summary On! Quotes, lessons and videos for entreprenuers and startups aka reading made easy. A few comments about blockshelf recommended blinkist. Get the best knowledge from nonfiction books in powerful, memorable packs. Your learning starts here. Where you take it is up to you. This guide is intended for those businesses that already have an existing Google My Business page. It’s also mostly geared towards brick and mortar stores. If you don’t have a public address and you’re a service area business, you can ignore the parts where I mention publishing your physical address. If you don’t have a listing set up already, it’s a little bit harder to audit. That being said, new businesses can use this as a roadmap. 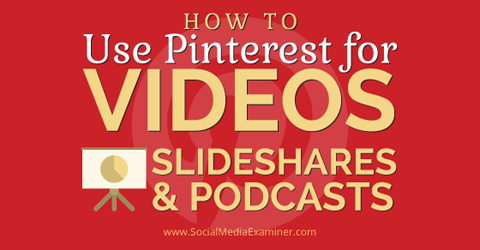 If you have a female audience, Pinterest is a must. I could see these working well for digital products as well. Good guy Jon Loomer shows us how to utilize a new Facebook bidding option. Facebook has some controls in place to cap frequency. You are limited to reaching fans four times and non-fans two times every day with your ads in the news feed. Use Daily Unique Reach to limit the times you reach Facebook users with your ad to once per day! Note that this isn’t a true bid, but Facebook uses it as a guide for determining whether or not to show your ad. Good question. I consider an average CPM to be about $5.00. But regular CPM is often much less. So feel free to split test and see what works! The 27th Friday Relaod puts us officially over the hump.. which means we’ve provided a half a year worth of Friday Reloads! I hope that you’ve enjoyed them with us.